In the past I had used the 3.2″ waveshare clones screens because they were relatively cheap and easy to work with. 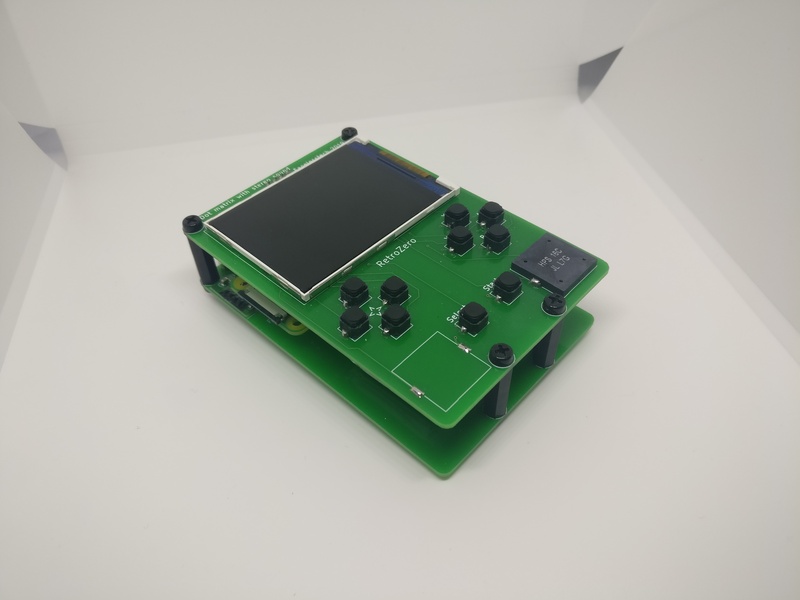 For this build I wanted to use the 2.4″ ili9341 screen and footprint I used in the Xmas bauble pi because they are cheap and there is plenty of software support out there to get it up and running. Because I was using the “bare” screen it allowed the build to be smaller because I didn’t have to deal with a breakout board. 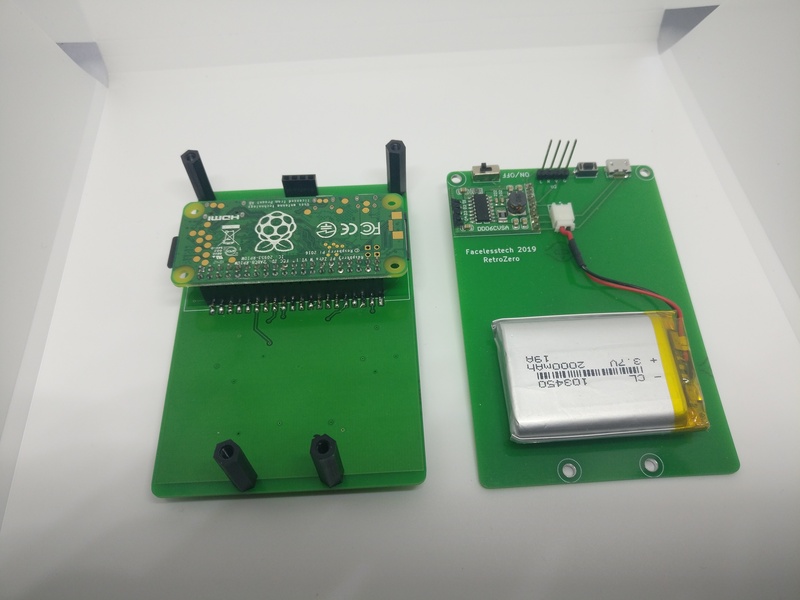 This is new to my builds, I found out that in the TinyPi he used some Piezo speakers wired straight to the PWM pins on the PI (pins BCM 13 and BCM 18). 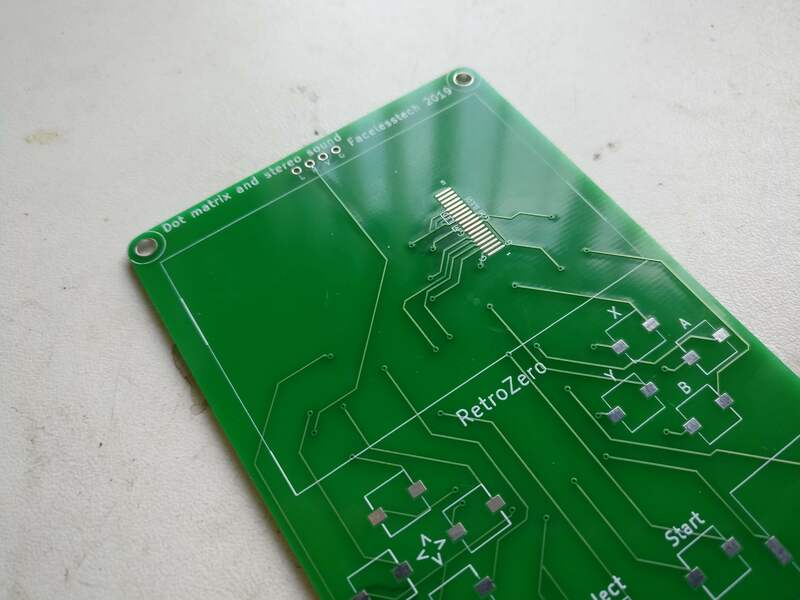 My first rev of the PCB I ran into some problems, If you check out the video below it will be clear whats wrong. I’m not sure what is causing the problem because in the new rev of the board I still have the problem but it’s not as bad. I still have one working speaker which isn’t all that bad but I would like to get to the bottom of the problem. I found that If I use the other PWM pin (BNC12) instead of the BNC13 I don’t get the problem. 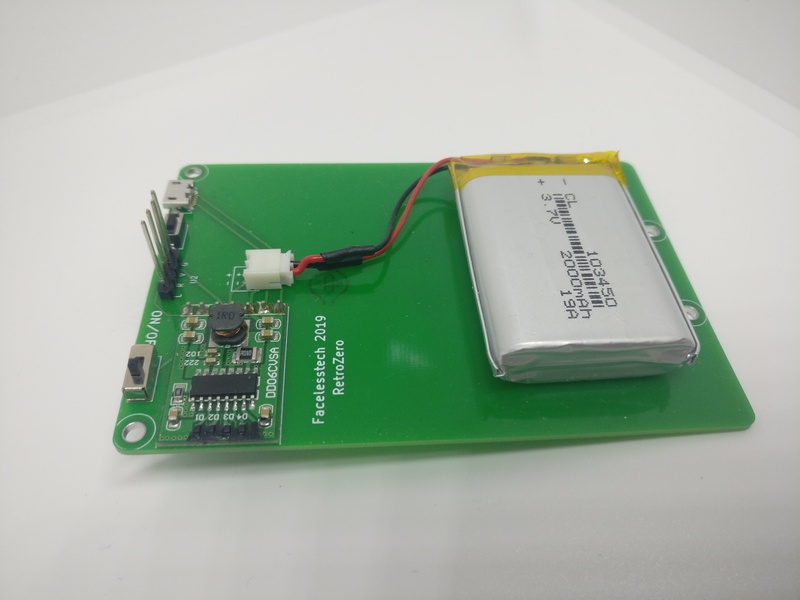 As with all my other raspberry pi projects I’ve been using these “power bank on a PCB” boards which are really cheap and will support a raspberry pi zero and screen off of a LIPO battery. The reason I love these boards is they have everything you need, 4 LED’s for battery level which is important to know when its time to shut down the pi when the battery is about to give out. They are small too, so can easily be added to a project. 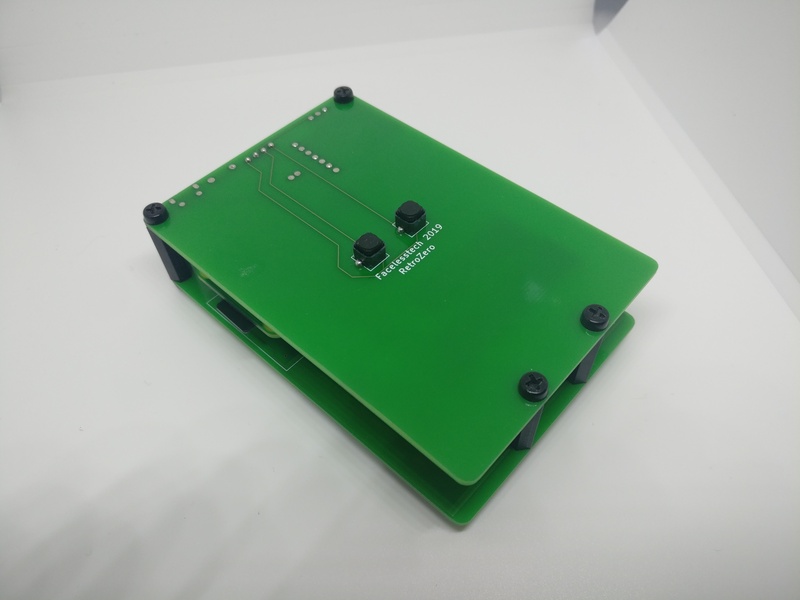 They also allow a push button to be wired to the board so you can press it to check battery levels when the pi is off. I attached a micro USB port for charging. What I sometimes do is use an unpopulated PCB as the back board of a project but this time I decided to split this project over 2 boards. I found some long (20mm) male headers that I connected the 2 boards together which pass VCC GND L and R buttons over 4 pins. I used 4 18mm M3 female headers with M3 bolts secure it. I wanted a way to mute and turn the volume up and down while playing games. You just need to hold down the select button and press up on the d pad to turn the volume up and down on the d pad to turn the volume down. Also you can mute it by holding the select button and pressing left on the d pad. I know you can do this from the retropie main menu but that would mean you had to exit the game to do so. Follow the instruction below this also with re enable the saving hot keys.